Everyone enjoys a good story. Stories not only entertain us, but they also can teach us. People have a tendency to remember good stories. That's why children's Bible story books are so popular and effective in teaching some central truths about God and His interactions with humans. And that’s why Jesus told so many stories [parables] to illustrate deep spiritual truths. We can be thankful that God chose to record many of the Bible's lessons in story form. The characters of these stories are real people who lived long ago. They faced the same kinds of problems that we face today. People like Moses, David, and Peter made mistakes and learned from their mistakes. Now we can read about what happened and profit by their experiences. Also, we can read of their victories and be strengthened by their faith. The Bible mentions almost 3000 different people. Although many of these people are only named, such as in Numbers, there are others who are described in detail. In a character Bible study, we look at a person's life history: Who they were, what they did or didn't do, what they were like, and how God interacted with them. As mentioned previously, this method of study is very effective in teaching children. They listen closely to the stories about baby Moses in a basket, or the shepherd boy David facing the giant Goliath, or of Esther thwarting Haman's evil plot, or of the baby Jesus in the manger. Through these stories of Bible friends, they learn important lessons about God's interaction with humans and His will for their lives. Adults also identify with Bible characters, especially those who struggled with weaknesses, doubts, and sin as we all do. Granted, some Bible characters may appear to be perfect, but we know from Scripture that they weren't. "Elijah was a man with a nature like ours..." (James 5:17a) Reading Elijah's story in the Old Testament may encourage us in our own prayer life for James goes on to say: "he prayed fervently that it might not rain, and for three years and six months it did not rain on the earth." If a man "with a nature like ours" could be that effective in his prayers, then we also might be just as effective if we pray in faith believing. David was called a man after God's own heart (see Acts 13:22), and yet, he was guilty of lying, adultery and murder. Does that mean that God was pleased with David's sin? Definitely not! One reason the Bible says David was a man after God's own heart was because he repented of his sins. Although there were difficult consequences for his sins, he received God's forgiveness, and he learned to submit to God. The Bible is not simply a set of commandments and codes of conduct. Instead, most of the Bible tells us the experiences of real people and of how God worked in their lives. We read and study their life experiences to gain knowledge and help us to be better men and women of God. The character Jabez is mentioned in only three verses (see 1 Chronicles 2:55 and 4:9-10). Esther is only mentioned in the one book by her name. Moses is a central character in four books and is mentioned in 26 other books. David is the central figure in more than 40 chapters in three books and is mentioned in 19 other books. After you choose the person you want to study, list all the Scripture references you can find for him or her. Be sure to also read the scattered mentions to the character in other books and passages. Sometimes a brief reference can give invaluable insight into that person. For instance, the only place where the Bible records that David was a man after God's heart is in the New Testament. If we only read the three books of 1 and 2 Samuel and 1 Kings, we would not know God's feelings toward David or David's true feelings toward God. At the same time, however, be careful not to confuse references relating to two or more persons with the same name. For instance, in the New Testament there are six women named Mary, four men named John, three named James, and two named Judas. Before you start writing notes about the person's life, read all the references at least once to get a general idea of what it is you want to glean from their stories. Write notes about the person's life, their work, and their personal traits. Find out as much as you can about the person’s background. What does their name mean? Where did they spend their early years? What influences were important in their youth? For example, Timothy grew up with the godly influence of his grandmother, Lois, and mother, Eunice. Who were the person's friends and associates and how did they influence him/her? For example, in a study of David, it would be helpful to also study his friend Jonathan. In what places did the person live and travel? For example, Moses' life is divided into three parts: He spent his first 40 years among the royalty in Egypt, his next 40 years as a shepherd in Midian, and his final 40 years leading the Israelites out of Egypt and toward the Promised land. How does your character differ personally from others with whom he/she regularly interacts? For example, Paul, Peter, and John were strong leaders in the early church. While God used all of them to present His truths, they each had specific character traits and talents that set them apart from the others: Paul is often referred to as the apostle of faith, Peter as the apostle of hope, and John as the apostle of love. How did some of their failures affect their futures? 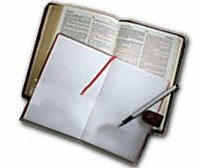 How did God deal with the person you have chosen to study? What were the great events in the person's life? How did they react in times of trouble and in times of happiness? What changes took place in them and why? What contributions did they make in the time in which they lived? After you complete your list, summarize the main points/lessons you learn from this person’s life. For this exercise, we are going to study the life of Jacob. The study of Jacob's life is particularly helpful because he had many character flaws: Prior to God changing his heart, he was quite the deceiver, often taking advantage of others to advance his own agenda. And those flaws are recorded in the Bible for us to study and learn from, as many of us can see something of ourselves in him! Yet, God's undeserved grace and power transformed Jacob from a deceiver into a prince having a special relationship with the Lord (see Romans 9:10-13). The Scripture applies Jacob's experience to all of us: "So then it depends not on human will or exertion, but on God, who has mercy." (Romans 9:16) So, the story of Jacob gives us hope, too, as we allow God to transform us. First, list all the references to Jacob you can find. Write a portion of the Scripture with each reference in order to know what it says about him. His life's story is in Genesis 25-50 in 167 verses (Genesis 25:26-34; 27:6, 11, 15, 17, 19, 21-22, 30, 36, 41-42, 46; 28:1, 5-7, 10, 16, 18, 20; 29:1, 4, 10-15, 18-23, 25, 28, 30; 30:1-12, 16-19, 25, 29-31, 36-37,40-42; 31:1-4, 11, 17, 20-26, 29-33, 36, 43-47, 51-54; 32:1-9, 18, 20, 24-32; 33:1, 5, 8, 10, 13, 17-18; 34:1-7, 13, 19, 25, 27, 30; 35:1-6, 9-10, 14-15, 20-23, 26-29; 36:6; 37:1-2, 34; 42:1, 4, 29, 36; 45:25, 27; 46:2,5-8, 15, 18-19, 22,25-27; 47:7-10, 28; 48:2-3; 49:1-2, 7, 24, 33; 50:24). There are many other references to him in the Psalms, Isaiah, Jeremiah and other prophetic books, as well as in the New Testament (Matthew 1:2; 8:11; Luke 1:32-33; John 4:5-6; Acts 7:8-16, 32; Romans 9:11-13; Hebrews 11:9, 13, 21). Next, read all the passages one or more times. Genesis 25:26  Jacob was born after his twin brother Esau, holding onto Esau's heel. Genesis 27:36  The meaning of "Jacob" is "__________________". Jacob's parents were __________________ and __________________. His grandfather was __________________, the father of the Hebrew nation. Abraham was a direct descendant of Noah through the ancestry of Shem (see Genesis 11:10-26). Jacob lived with his parents and his brother __________________. He was a quiet man and his mother's favorite (25:27-28), but he was deceitful (25:31-34). 27:18-36  He stole his brother's __________________ as the elder son and stole Esau's __________________ by tricking his father, Isaac. 27:42-43  To escape Esau's anger, Jacob fled to __________________ to live with his uncle, __________________. 29:23  Jacob worked seven years in order to marry __________________, but Laban tricked him and gave him __________________ instead. 29:30  Jacob worked another seven years to get __________________. 31:41  He worked another __________________ years to build up his own flocks. 28:10  In __________________ he was a deceiver. 30:25-43  In Haran he served Laban and was both the __________________ and the one who was __________________. 37:1  In Hebron he changed his deceiving ways after his meeting with God at __________________. 46:3-4  At the end of his years he became a respected man of wisdom in __________________. By nature, Jacob was a deceiver. But even though he did wrong, he set his heart on that which God had promised (25:23). 25:33-34  He believed in the value of both the __________________, which Esau didn't care about. 35:1-7  After his dream about God's promises to him, he set up a memorial at Bethel where people would worship God. 28:18-22  He vowed to pay back to God a tenth of everything God gave him. 34:2  His daughter __________________ was disgraced. chapter 34  His sons turned into deceivers and murderers. 35:16-20  His beloved wife, __________________, died in childbirth. 37:34-35  He lost __________________, his first son by Rachel. chapter 38  He felt the disgrace of __________________, his fourth son. chapter 43  He was separated from Benjamin, his __________________ son. Looking back on Jacob's life, we can see that the turning point came at Peniel where he wrestled with God. It had been 20 years since Jacob had made his vow to God at Bethel. When Jacob's struggle with God ended in a face-to-face battle, God changed Jacob's name to Israel which means "Prince with God" (32:24-30). Jacob submitted the rest of his life to God, even in the midst of problems and tragedies (47:9). God allowed Jacob to see into the future and grant blessings to his sons and grandsons (48:13-20). series of lessons, please write the lesson name.